Simply fill in this short form and we’ll pass your details to up to 3 local approved installers who may be in touch should you require a no obligation quote. To find out more information about how we use your data and your data rights you can view the full version of our Privacy Statement. Planning your new extension doesn’t have to be a daunting or tedious task. This is why we have found a better way to plan. Working with one supplier means you won’t need to hire an architect to complete your plan. Our list of local Hull installers are prepared to handle all aspects of the planning and installation process. Once you have found your nearest installer in Hull using our search tool and have acquired your detailed quote and design, it is time to build your new room. You won’t have to worry about your new extension being built to the wrong size because all your components will be made to the exact design specifications you provide in our Ultraframe factory. Finally, with your new room, you’ll have a better way to live. Ultraframe utilises the latest technological advancements to provide you with a thermally efficient structure and high-performance window panels designed to create a welcoming and enjoyable new room for you to use. Find a better way to extend your Hull home with us. Which? 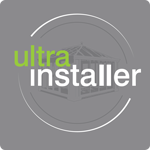 Trusted Traders, the consumer champion, endorse the Ultraframe Ultra Installer Scheme. This scheme is one of the very few services across the UK to carry the Which? Trusted Traders Ribbon 'Approved Service' endorsement logo. For your peace of mind, every Ultra Installer has been inspected by both Ultraframe and Which? Trusted Traders. Ultraframe assess the quality of installation practices and Which? Trusted Traders assess consumer service standards. 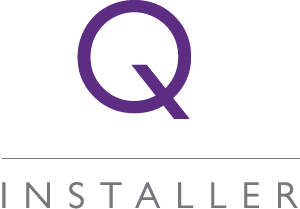 A number of installers use our alternative Quantal system, which is separate to the Which? Trusted Trader Scheme. Quantal is the market leading aluminium glazed roofing system. Every Quantal installer has been installing Quantal roofs to a high standard for over 10 years. These installers also go through rigorous inspection by Ultraframe to assess the quality of installations and to ensure they have correct processes and procedures in place.